If one used the stock market as an indicator, then investors already are of the belief that the $54 billion AbbVie takeover of Shire has died. Shares of Shire tumbled nearly 25% Wednesday in midday trading in London, wiping away nearly £10 billion from the market value of the Britain-based drug maker. The stock’s plunge came following announcement by it suitor AbbVie that it was not sure about its planned purchased of Shire, because of the new rules set forth by the U.S. Treasury that would make it a less attractive deal tax wise. The hesitation by AbbVie is the clearest sign to date that the efforts by the Treasure to close a loophole that has created tax inversions by corporations might be discouraging companies based in the U.S., from moving their tax domicile overseas. AbbVie announced that it would have a board of directors meeting October 20 to consider what the impact of the changes in regulations would have on the acquisition. The changes were announced in September by the White House administration. One market analyst said he did not expect the acquisition would go forward and the market is clearly following suit. 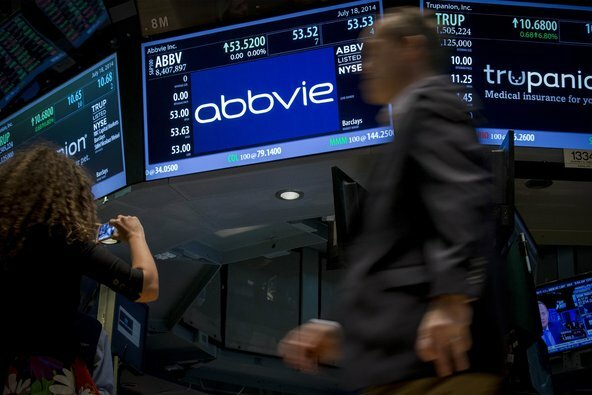 The AbbVie board, said the analyst, has a responsibility to stakeholders to consider the facts relating to any event that could impact shareholder value. Until Wednesday’s announcement, share of Shire had surged close to 80% since the start of 2014. They were helped in June when news was released that AbbVie was interested in acquiring Shire. In July, a final agreement was first announced when the two said they would create a new corporation to be domiciled in Britain, specifically in Jersey, known to be a tax haven. The move by AbbVie would lower its tax rate from 22% in 2014 to 13% within two years. However, AbbVie did not pursue this deal for only the tax impact, said Richard Gonzalez its CEO, when the deal was first announced. Shire urged AbbVie on Wednesday to stick to the plan and to follow through on the takeover. If AbbVie walks away, it must pay a break fee to Shire that is estimated to be close to $1.63 billion.